The MS-NRX300 features a sleek new innovation: the glass helm flush mounting option. You can now choose either a flat mount for a stunning glass helm finish, or you can easily install with the conventional flush mount finish. 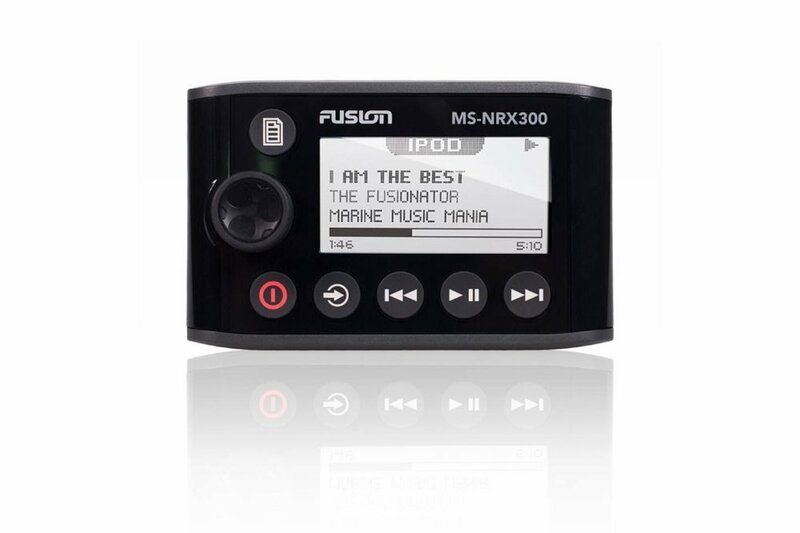 Either way, the feature packed MS-NRX300 will provide everything you want from a wired remote and more. 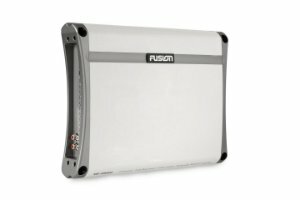 Multi-Zone Technology: Install a remote in each independent audio zone, up to four zones depending on your Fusion marine entertainment system, to create localized volume control, as well as, global source control. 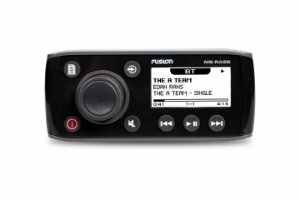 Now you have even more control in creating a customized audio entertainment experience around your vessel. 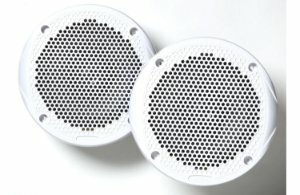 IPX7 Water Resistant: Perfect for installation on a swim platform, deck or within the cabins, the MS-NRX300 is designed and engineered for the marine environment. NMEA 2000 Certified: The MS-NRX300 is certified for connection to any NMEA 2000 network making for a quick and easy installation. Once connected, the wired remote will double as a NMEA repeater. 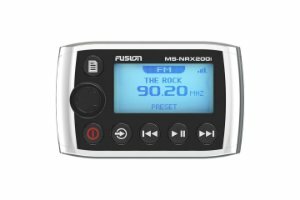 Optically Bonded 2.6” LCD Display: the MS-NRX300 sports a large, high contrast, daylight viewable display making it easy to navigate and stay in control of your audio entertainment experience. Either mount the MS-NRX300 with a conventional flush finish, or integrate it into a glass helm for a stunning flat surface mount. The MS-NRX300 wired remote can communicate with other compatible NMEA 2000 devices connected to the same NMEA 2000 network, to display supported messages including wind direction, wind speed, speed through water, speed over ground, heading, position and water temperature.